When trying to publish a 64-bit application from C:\Windows\System32 folder, application executable is not available in the Publishing GUI of Remote Application Server. However, it is present in that path when navigated to via Windows Explorer. 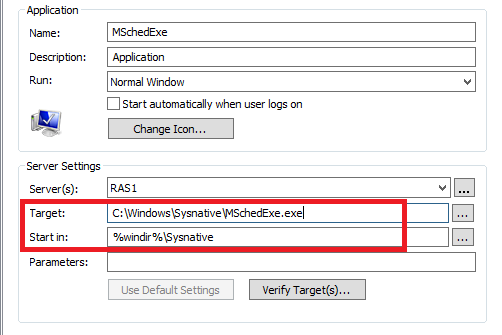 Note: C:\Windows\sysnative\ is a virtual folder, and it won't be seen in Windows Explorer. Path will have to be entered manually.